As we continue our journey through the 21st century, technology continues to advance in many ways. With the introduction of LED technology, lighting options for our parking garages have almost become endless. In comparison to traditional HID lamps that use an average of 70 to 400 watts, LED fixtures use an average of 24 to 82 watts, offering a savings of 40 to 60 percent on energy consumption. According to a study performed by Stouch Lighting, building managers who switched saved about $300 per fixture each year in electricity cost alone! The U.S. Department of Energy expects the usage of LEDs in the parking industry to increase 67 percent by 2020 and 99 percent by 2030. While at the TPTA conference, I was fortunate enough to attend a presentation that introduced a new way of lighting and decorating our parking garages with LED lights and visual effects. 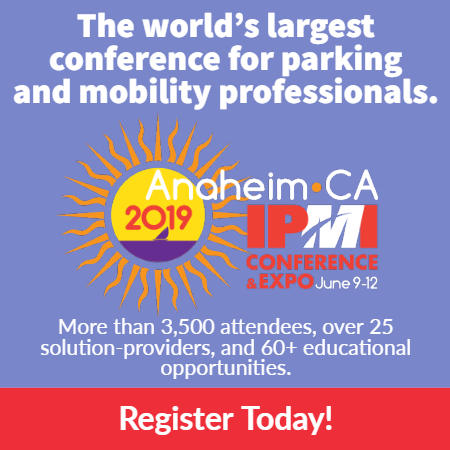 Modifying the appearance of the entrance/exits, pedestrian walkway, or other accessible parts of the garage are ways to increase transient and contract revenue by attracting parkers visually. 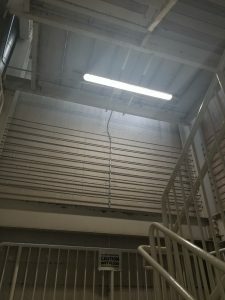 My location just converted the stairwell lighting to LED lamps in an attempt to be more cost and energy efficient and provide safer more illuminated options to our parkers who work late. I’m excited to see the benefits of the switch. Jacquelyn Contreras is assistant operations manager with Winpark.